May 12, 2015 Despite staying at the Pool Buoy warehouse until 9:00 P.M. after a full work day, we're totally pumped! 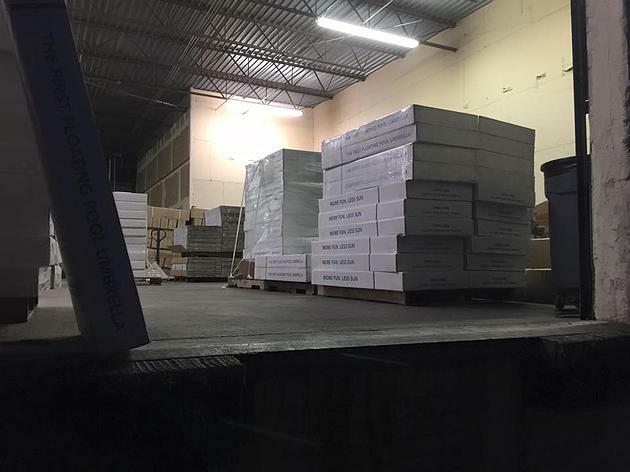 Do you see those pretty pallets full of boxes? Those are our first orders of product that are being shipped out today (finally!) We've waited for this day for a long time, and it feels so good to send out the Pool Buoy to our first backers who are ready for more fun, less sun. 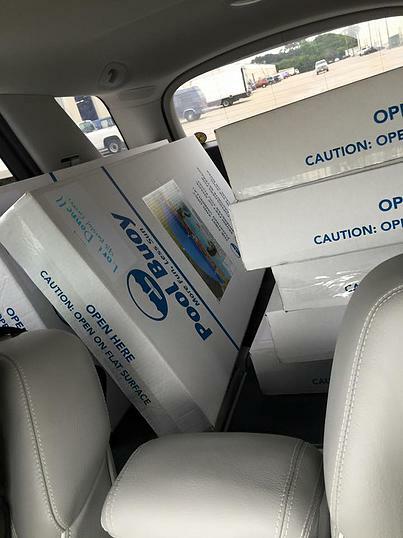 We're even hand-delivering our local orders so our San Antonio friends can get their shade on this weekend. We're sending a BIG thank you to all of our first purchasers. Get ready for the summer - it's going to be a perfectly shady one.